If you look at Interbrand's Top 100 Global Brands or Millward Brown's Brand Z Top 100 Most Valuable Global Brands, you'll see a lot of American, Japanese, German, French, Swiss, Italian, and Korean brands. You won't see a lot of brands from other countries. Yet, the consulting services like Interbrand and Millward Brown go out of their way to come up with a Top List for these "absentee" countries. But, here's what I've noticed. Over my years of teaching, when I ask students of branding, "which brands are the power brands from your home country?" they generate a different list than what the pro brand valuation experts do. Here's why - companies that measure "Top 100 brands" focus on economic power. Country residents, however, tend to select brands that speak to their hearts and souls; brands that capture the values of the nation as well as economic strength. So today, I'm launching the first post of a series- National Power brands. 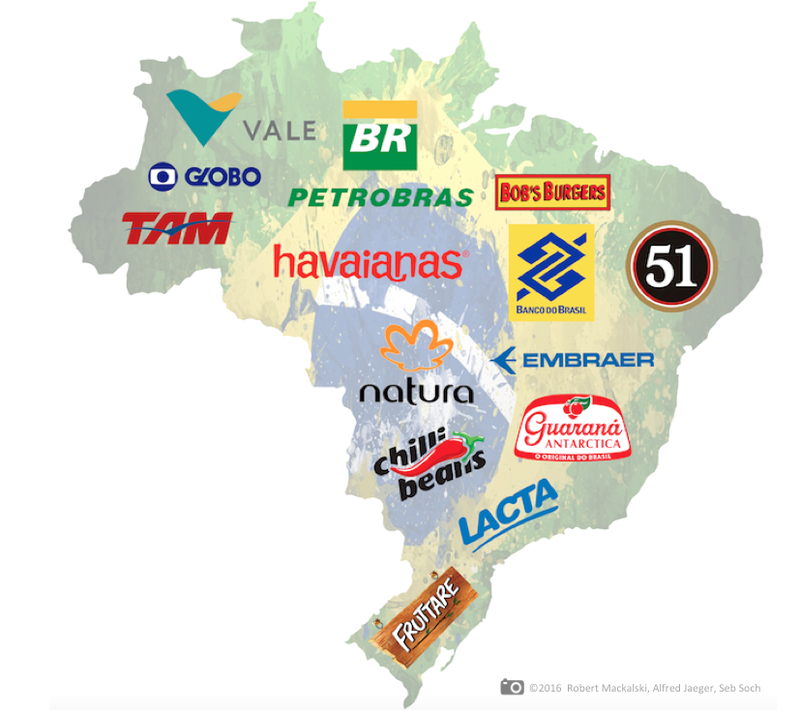 And, I'm starting with Brazil, a country whose brands I've tracked with my students of branding since 2003. 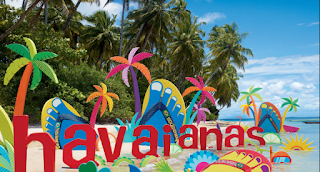 Havaianas - For a country known for gorgeous Atlantic beaches and almost 7500kms of Atlantic coastline, it is not surprising to have a beach-product company top the list. Havaianas, makers of flip flops, beachtowels, and beach gear, operates in more than 80 countries and is arguably Brazil's first global consumer brand. The brand is the essence of simplicity, comfort, and is endowed with the essence of Brazilian beachiness. Ironically, the name means "Hawaii" in Portuguese. Havaianas ranks 30 on Interbrand's Brazil list. Natura is a cosmetics, perfume and personal care manufacturer that makes beauty Brazilian style. The Sao Paulo based company sources its ingredients from the Amazon and deploys some of the most sustainable business practices in the world. Earlier this year, Corporate Knights recognized Natura as one of the world's most sustainable businesses. Embraer- Who invented the airplane? The Wright Brothers you say? Well, according to many Brazilians, it was Santos Dumont. Not surprisingly then, the country has a flying heritage and Brazilians feel a close affinity to their regional jet manufacturer. Notice the bra in the name. Guarana Antarctica- Here's a guaraná flavored soft drink that started in Brazil. It was originally distributed by Companhia Antarctica Paulista (now part of Anheuser-Busch InBev). 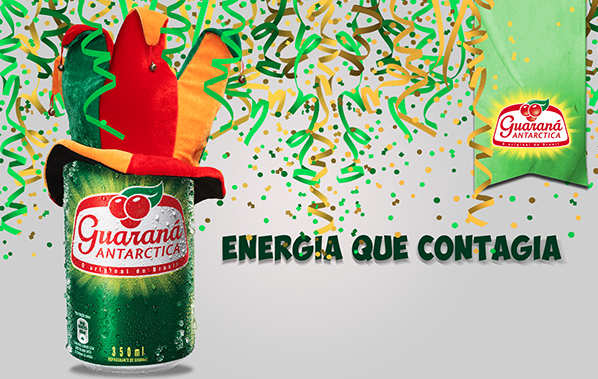 And the guaraná berry? It's a high octane caffeinated berry most plentifully found in the Amazon basin. 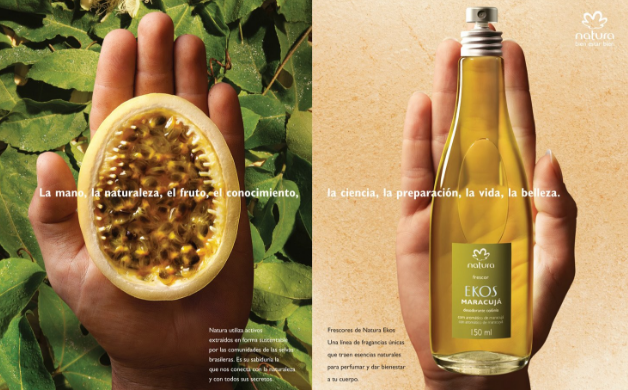 Coca-Cola company tried launching a competitor Kuat, but "do original" is Guarana Antarctica. Cachaca 51- Greece has oozu, Russia and Poland drink lots of vodka, and Brazil has cachaca- a rum-liked spirit. 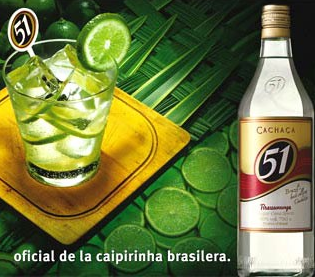 With an estimated 33% market share in Brazil and distribution in more than 50 countries, Cachaca 51 (produced by Muller de Bebidas since 1951) is a Brazilian go-to brand for the the national alcoholic drink caipirinha. 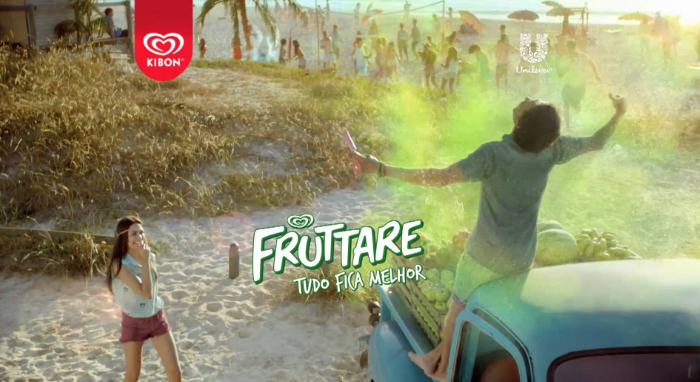 Fruttare- In 2013, Unilever, the world's largest ice cream company, put some marketing muscle behind Brazilian Fruttare fruit bars treat and declared the novelty a global brand. Fruttare has a strong base in its motherland- strong enough to have its own pop-up stores. It is the first packaged good that started in Brazil that spread around the world. 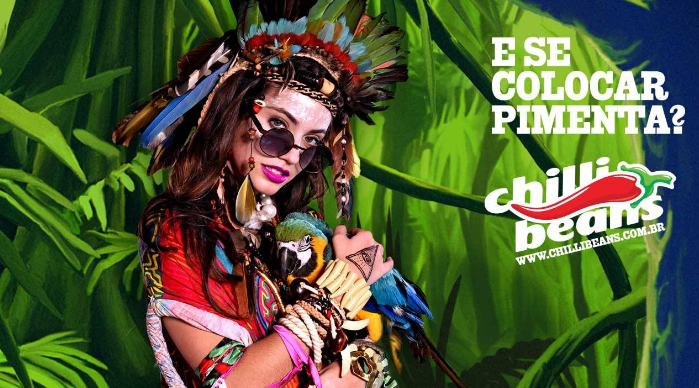 Chilli Beans- Founded by a Brazilian rockstar CEO (Caito Maia) who makes Richard Branson look boring, Chilli Beans has been expanding its lifestyle "pepper in the veins" brand around the world. The privately held vertically integrated sunglasses company knows how to throw a party. 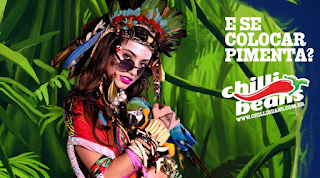 Every year it rents a cruise-liner and sails 5000 of its employees and customers on a 96 hour party marathon, while launching its "dreamed in Brazil" new style and brand extensions. Tam- Airlines often make the national brand list. After all, airlines are hellos and goodbyes. They connect loved ones, relatives, and business people within the country. And, the fin of the plane can also be emblematic for the country when traveling internationally. Although not a flag carrier airline, Tam is the largest airliner in Brazil by fleet and domestic and international passenger miles. Lacta- Since 1921 this Paulista chocolate brand has been providing comfort and treats to Brazilians of all walks of life. Petrobras- This Rio based energy powerhouse ranks 7 on Interbrand's Brazil list, but has taken a massive hit due to falling energy prices and its involvement with the political corruption scandal - the largest investigation in the nation's history. Banco do Brasil and Bradesco are often said in the same breath as banks that are the power bank brands of Brazil. Banks usually make the list for their economic clout- but also for the feelings of security they provide. What I've found is that even the harshest critics of banks (high bank fees, questionable customer service etc.) advocate for their home banks in international debates on power brands. Grupo Globo - How dominant is Brazil's family run media conglomerate. Let's look at Globo TV -the flagship media. The network covers about 98% of Brazilian territory and reaches about 99.5% of the population and dominates the ratings. Plus, the network is massive creator of Brazilian content. 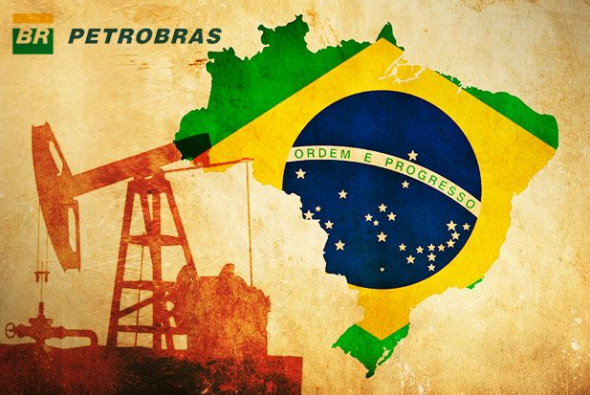 As the Economist wrote: Globo is surely Brazil's most powerful company, and power brand of Brazil. Vale- One of the B to B entries that makes our list is the mining company Vale. Operating in 28 countries- and over 5 continents, Vale truly is a power player in its space. Bob's Burgers- Brazil's answer to McDonald's? Bob's Burgers. Who wants a Big Mac when you can have a Big Bob? Maybe I am biased to this, but the staff is really something else.